Winner of the Holyer An Gof award for the outstanding literary publication of 2009 awarded by the Gorseth Kernow. A century ago, the name of Silvanus Trevail would have needed no introduction. As President of the Society of Architects, a national body some 600 strong, he was a familiar figure in the big cities of Britain, his forceful speeches widely reported in the London and provincial press. In the West Country he was as famous for his radical reforming politics as for his architecture: his public health crusades as Mayor of Truro and Chairman of Cornwall County Council Sanitation Committee, provision of technical schools and libraries, and promotion of tourism greatly assisted a region traumatised by the collapse of its once-powerful metal mining industry. When risk-averse Cornishmen refused to back his ideas, Silvanus Trevail financed his own developments. In three hyperactive decades he handled around 300 architectural commissions, including schools, religious buildings, housing developments from country mansions to workers’ cottages, banks and shops, technical colleges, art schools and libraries, hospitals and hotels. Then one morning in 1903 he donned his top hat and frock coat, boarded a train from Truro, put a revolver to his head and shot himself, bringing a brilliant career to an end at the age of 52. 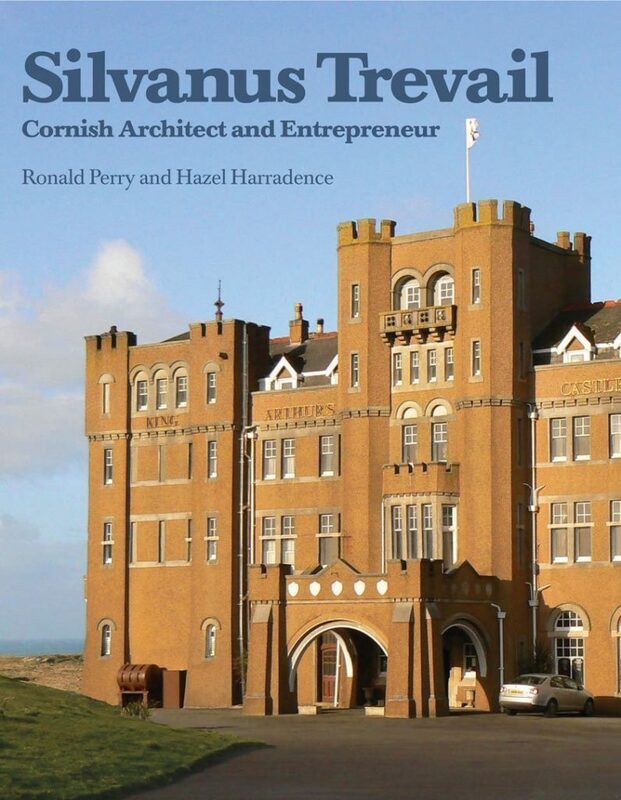 Hazel Harradence is a founder member and membership secretary of The Silvanus Trevail Society. The Society, formed in 1993, aims at increasing awareness of the historical significance of Trevail’s architectural practice through research into his life and the preservation of his work. Hazel came to Cornwall bringing business and administrative skills that have been put to good use in connection with historical and environmental groups on whose committees she has served for many years. Researching various aspects of Cornish history has led to her lecturing across the county and producing articles on these subjects. She has spent a considerable amount of time working as a volunteer at Cornwall Record Office, assisting in cataloguing collections. She is the sole author of the Silvanus Trevail Register of Buildings, the most comprehensive work of its kind ever produced for a British architect. Ronald Perry B Sc, MA, Ph D, Dip Ed, is secretary of The Silvanus Trevail Society. He came to Cornwall in 1965, after administrative and academic experience in England, Germany and the Far East, to build up the Faculty of Management, Business and Professional Studies at Cornwall College. He has carried out numerous socio-economic surveys of the region for the British Social and Economic Research Development Group. More recently, he has published many historical studies, mainly dealing with the period when Silvanus Trevail lived, for the Institute of Cornish Studies of Exeter University, the Royal Institution of Cornwall, the Trevithick Society, the Cornwall Association of Local Historians, An Baner Kernewek and the China Clay History Society. For his contribution to the history of Cornwall, Dr Perry was created a Bard (Scryfer Negis) of the Cornish Gorsedd.